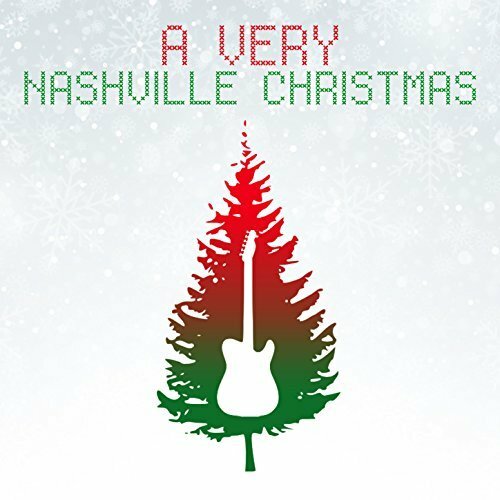 Silverado Records presents an all original music compilation titled, A Very Nashville Christmas. Featuring ten tracks by ten different artists, this album will have you singing and discovering new artists all throughout the holiday season. We know and love traditional Christmas songs, but it is nice to have a variety on the playlist and this compilation will fit like a warm winter glove. Featuring new and all original Christmas songs from the Silverado Records roster, along with some friends of the label, the variety is the spice on this one. The styles range from upbeat, bluesy to country rockin’ and emotional ballads. The artists are: Adam Byrnes, Crystal Yates, Ali Morgan, Brandon Chase, Tyler Jordan, The Young Fables, Dave Kennedy, Tony Winkler, Daughter Jack and Liv Waters. Excellent songwriting for the holiday season, that’s the short of it! The songs are well-written and produced. Each artist put their best Christmas tack on this compilation, so you really get a nice variety of styles, singers, and moods, that only can come from a various artists compilation. The production and playing is top-notch Nashville and all the singers deliver the lyrics with emotion and precision. What can be better than finding a new favorite country artist? Well, this compilation will give you a nice sampling of ten artists that will perk your ears and at least one will stand out and have you searching for more songs. The ten tracks have a nice flow as a package and each artist brings their own unique style and sound to the Christmas table for your ears to feast upon. This is good solid music, nothing to fancy or over produced, just great heartfelt country music for the holidays.